Be an opener of doors for such as come after thee. that has a sensual and selfish aim, will fail. for that is all there is of you. 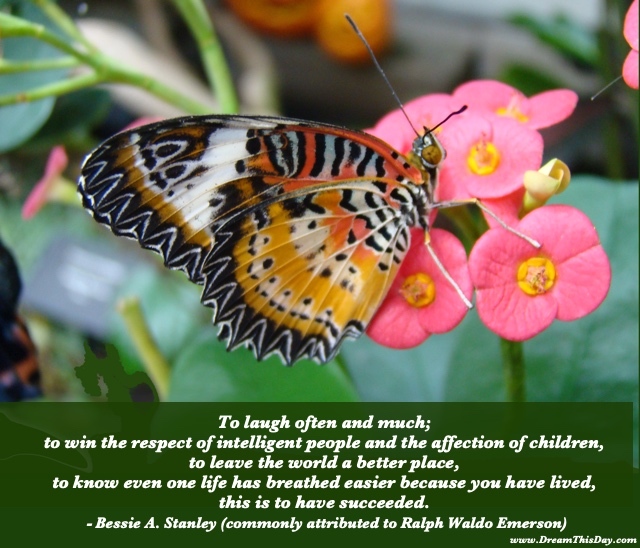 Thank you for visiting: To laugh often and much; by Ralph Waldo Emerson.